​​What is the MTBparks Best Bike Parks Survey? ​Your chance to chime in and vote for your favorite bike parks! When it comes to riding, we're all looking for something different and that's what the Best Bike Parks Survey is all about: uncovering ALL of the best places to ride and helping YOU find the all of best destinations that offer whatever unique features that are important to YOU as a rider. 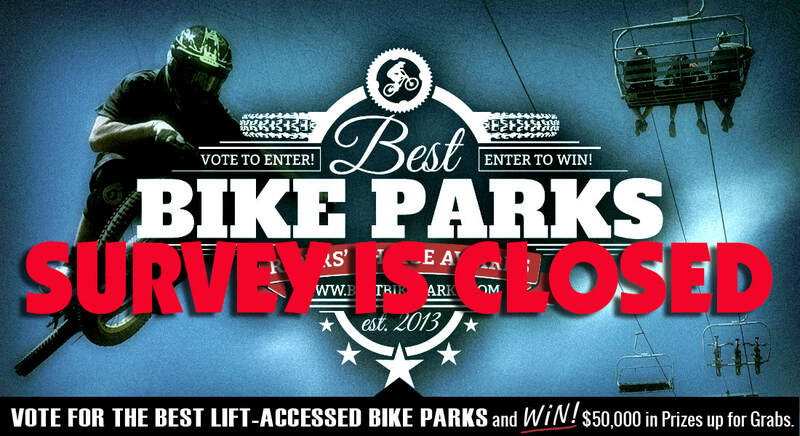 The survey has ended and we will be announcing the best bike park winners from last season in the coming days. Sign up below to find out which bike parks ranked in the Top 5 in their region. Five rider-voted Best Bike Parks will once again be crowned in each of eight regions across North America: Eastern Canada, Northeast, Mid-Atlantic/Southeast, Midwest, Rocky Mountains, Southwest, Northwest, and Western Canada. ​Every lift-accessed mountain bike park offers something different, and no one knows what makes each resort so unique better than you. What makes your favorite mountain bike park so rad? ​Once you complete the survey, you'll be directed to our contest page where you'll receive an automatic entry and options to earn additional entires for the prizes up for grabs. As our way of saying thanks, everyone who completes the survey wins a $50 MTBparks Gift Card!!! We have a great roundup of prizes up for grabs! From the entries received, we're gonna give away some sweet prizes, including goodies from Red Bull, Five Ten, Yakima, Backcountry.com, Skullcandy, ​1620, Chopshop, ​and MTBparks! Important: You must complete the survey and click the link at the end to validate your entry for the giveaways. We've teamed up with Red Bull to give away this Ultimate Red Bull Rampage Signature Series setup!!! This is your chance to win a collection of 12th edition of Red Bull Rampage gear including a Signature Series Nixon Landlock Backpack packed with Red Bull Rampage must-haves for your next epic adventure. 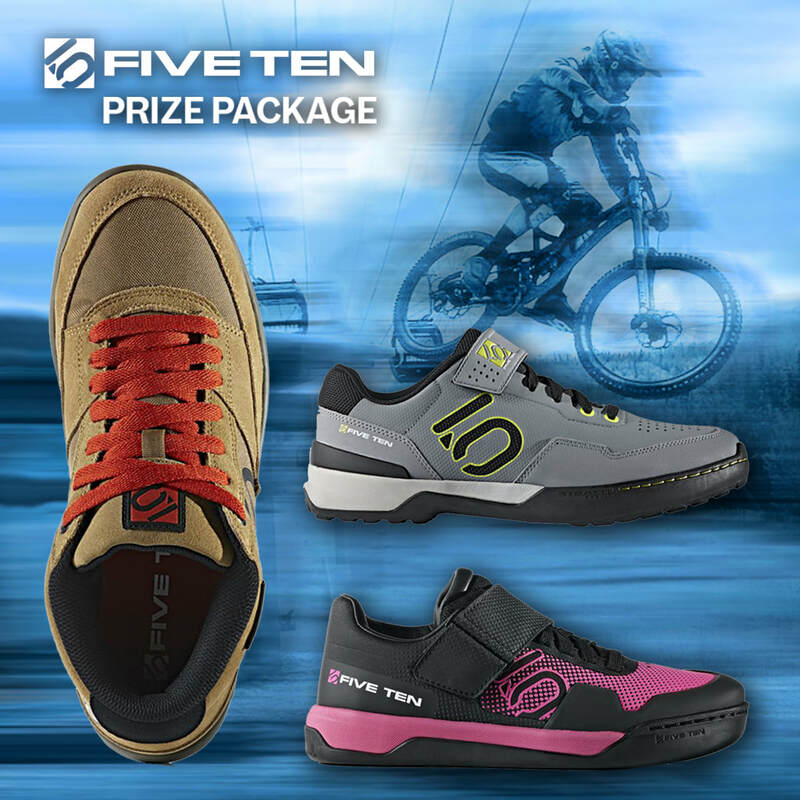 MTBparks is giving away FIVE $100 Gift Cards courtesy of our friends at Five Ten. ​With more clipless and flat models to choose from, you’ll have no problem picking the right shoe for your riding style and sticking with the best rubber in the industry either way. 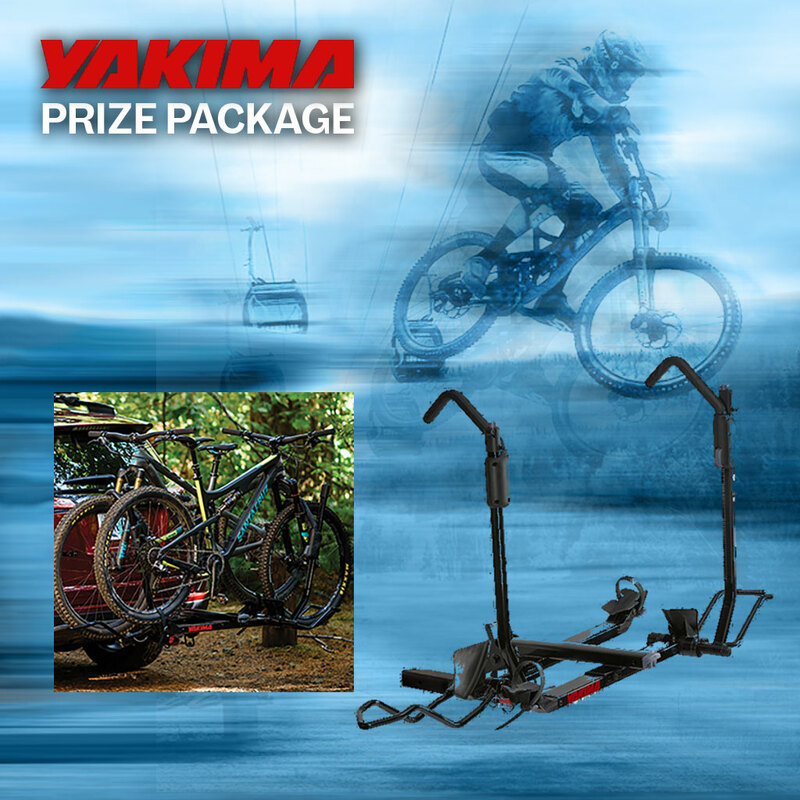 Win a HoldUp EVO Rack from our friends at Yakima! Fast, secure, and easy to use, the HoldUp EVO is built to handle new bike standards, like fat tires and boost hubs, but it easily carries the classics too. ​The StrongArm hook secures the bikes at its wheels, protecting carbon frames and painted surfaces. Tilt the rack with bikes loaded for quick rear-of-vehicle access using the new easy to reach tilt lever and KickStart™ foot pedal. The super-simple locking SpeedKnob™ makes install a tool-free breeze and included SKS bike locks keep your mind at ease. ChopShop believes that it should be as easy for everyone to create high-quality adventure films as it has become to capture the footage. 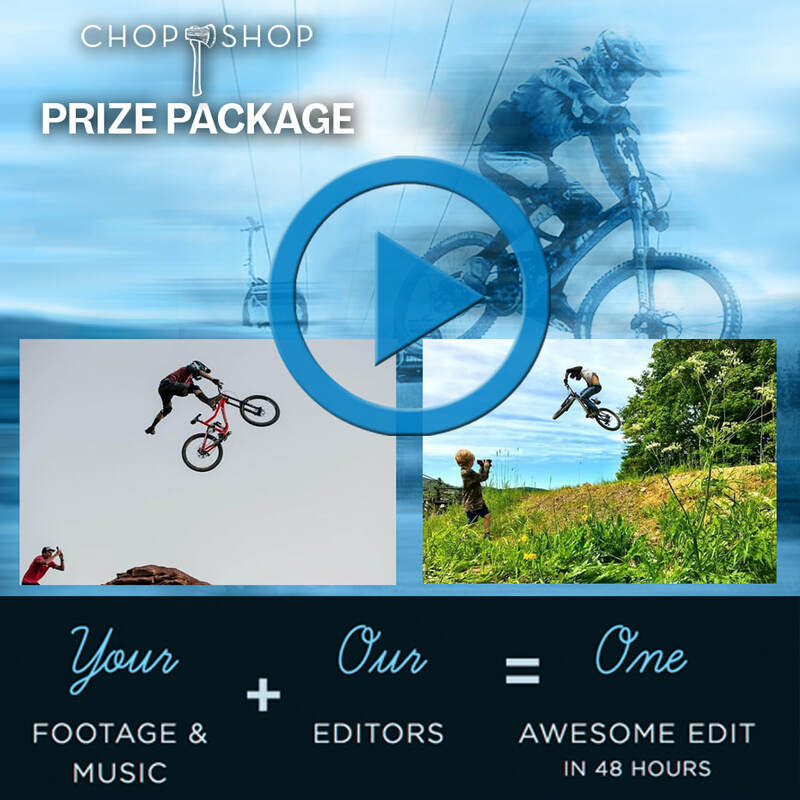 MTBparks has teamed up with ChopShop to give away 3 basic edits — they'll sort through up to 2GB’s of your raw footage and create a 1-3 minute edit, set to music of your choice. 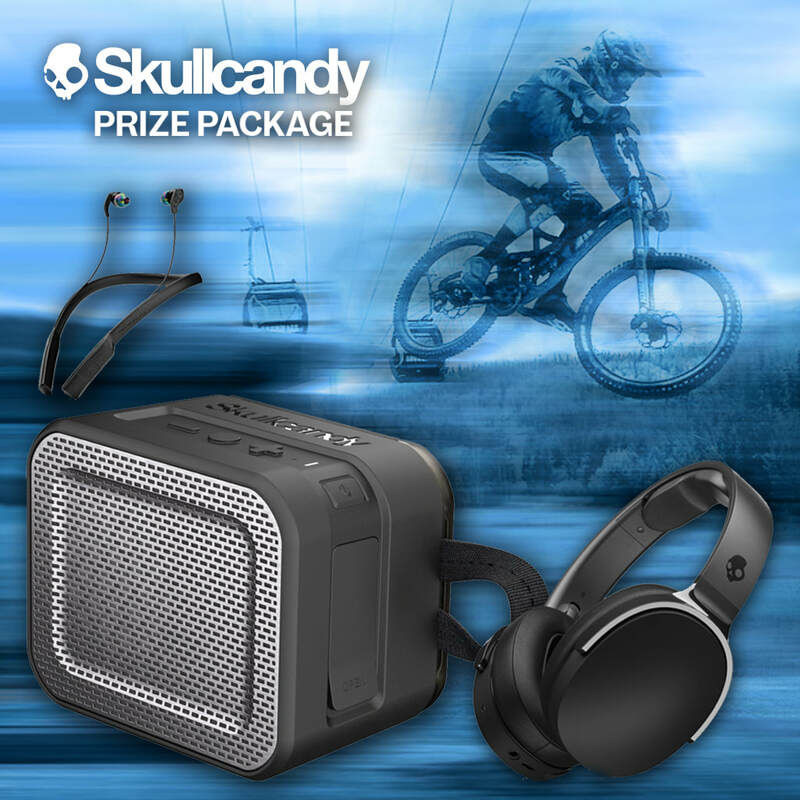 Win one of three pieces of sweet Skullcandy gear. ​Our friends at Skullcandy have hooked us up with a Barricade, Method and Hesh 3 wireless device to give away to three lucky winners. ​Skullcandy's brand delivers one simple goal: innovate to solve real problems and democratize amazing audio experiences with quality and style. 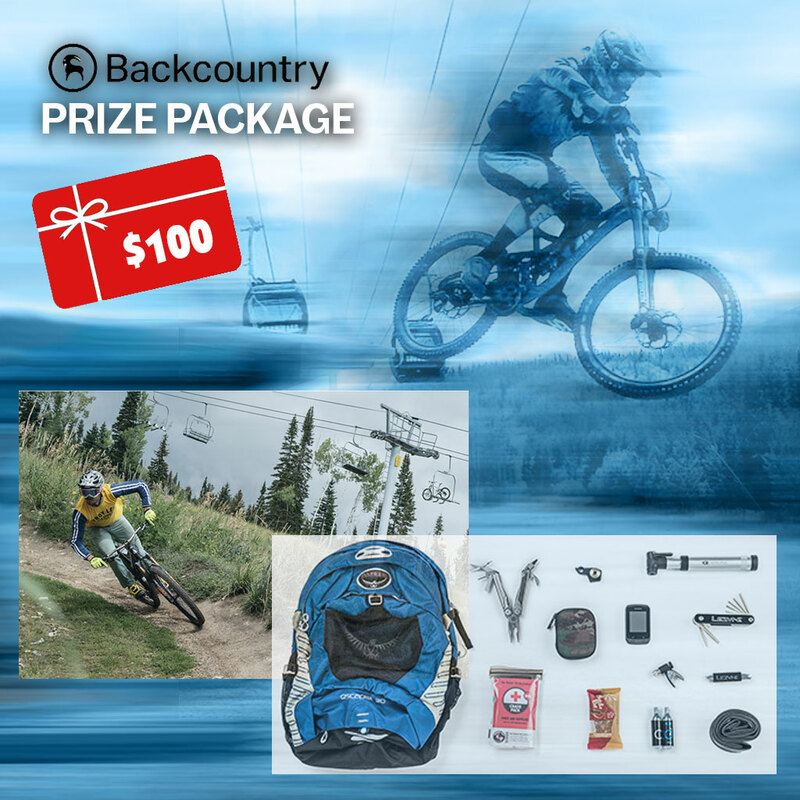 Win one of two $100 gift cards courtesy of our buddies at backcountry.com! Whether you're looking to upgrade your gear and don't know where to start or just need to order some new parts for your rig, the crew at backcountry.com can set you up with equipment and great advice, all in one spot. Backcountry.com carries thousands of amazing products from top brands and the company is staffed with Gearheads who can give you advice on the best item to fit your needs. Designed to be trusted, 1620 Workwear combines modern fabric technologies and construction resulting in unprecedented comfort, quality and detailed functionality. 1620 builds the premium workwear that the modern working customer needs and deserves. By disrupting this stale and devalued category, 1620 champions and restores respect for the modern worker by building the best workwear money can buy. ​MTBparks is giving away a $50 Gift Card to three lucky winners. Win some sweet MTBparks swag! Born from a need to find bike park info for planning our own bike park adventure, MTBparks is all bike park, all the time. ​As North America's most comprehensive lift-served guide, we've got you covered. Literally. 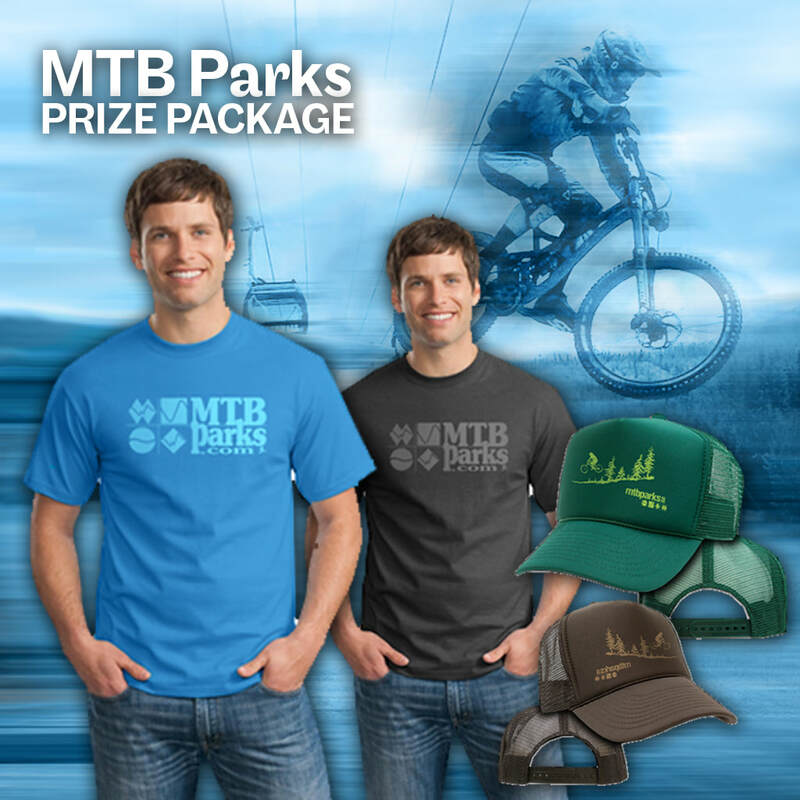 From hats to t-shirts to bike park passes, we've got an assortment of awesome goodies in the MTBparks gear locker to give away as well. 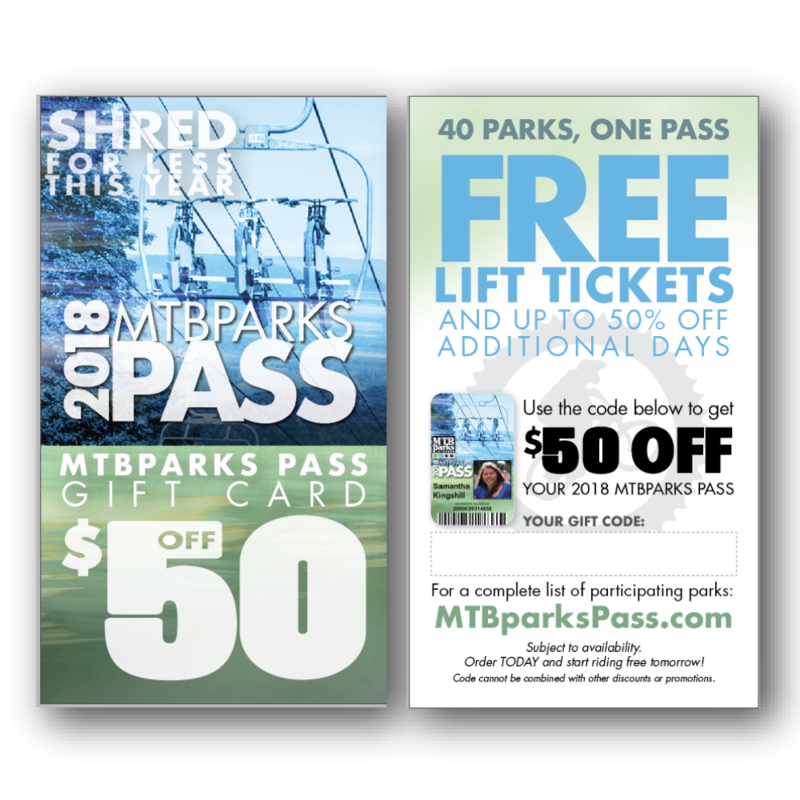 When you complete the survey, you automatically win a $50 gift card to use in the MTBparks store! After you complete the survey, please follow the link to the contest page to validate your responses. Your gift card will be delivered via email to the address you provided when you validate your entry. We'll start by asking a few questions about your riding experiences and then dive into your favorite bike parks based on different attributes. It will only take a few minutes to complete. We promise! Everybody who completes the survey and earns at least one contest entry will be entered in a drawing to win one of the prizes listed above. 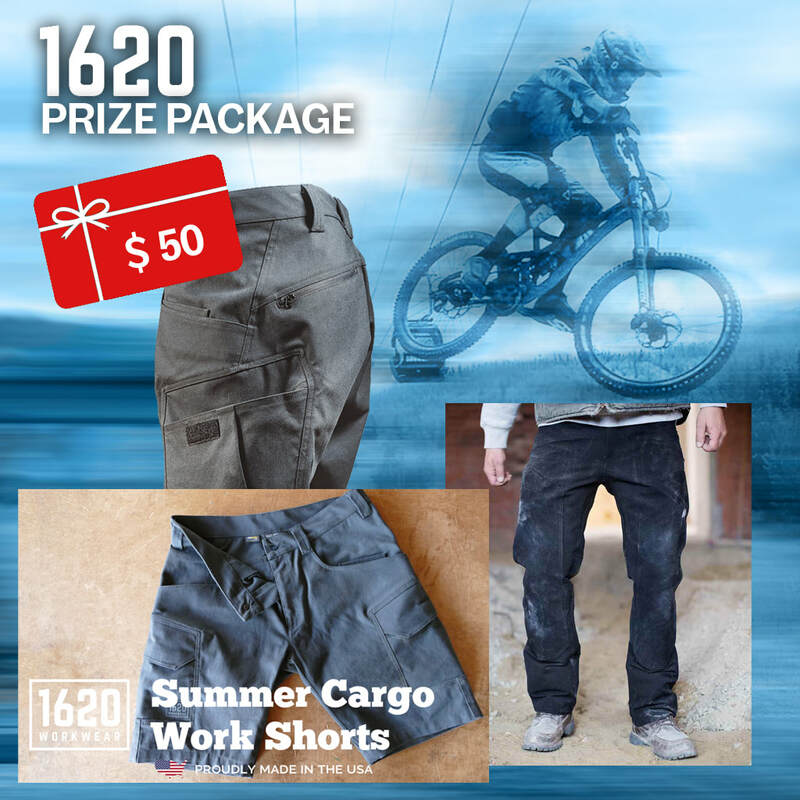 When you complete your entry you also automatically earn a $50 gift voucher to use in the MTBparks store! 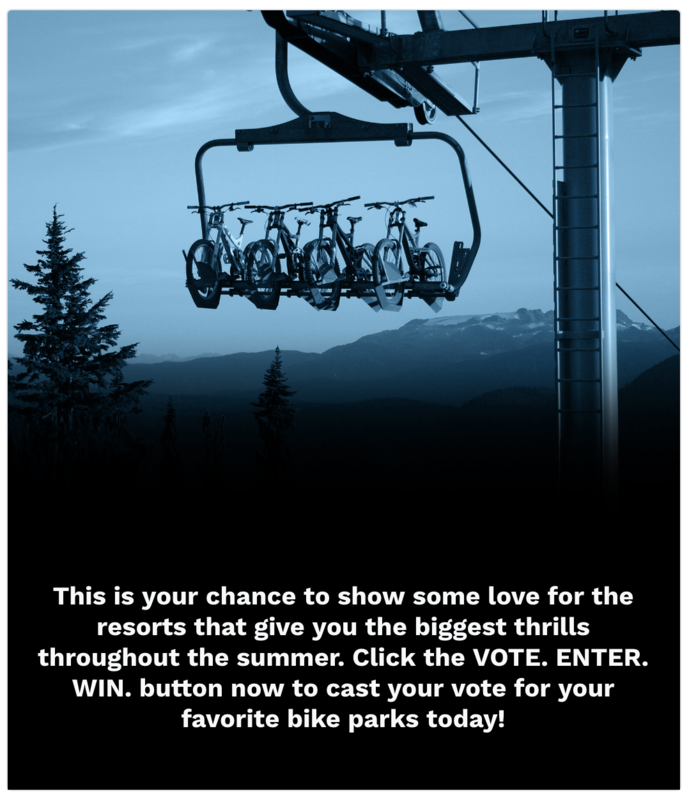 Earn extra entries by sharing the survey, following MTBparks.com on your favorite social channels, etc. Additional entries increase your odds of winning one of the many prizes up for grabs. Gift certificates and prizes will be issued via email after the contest closes and all extra entries have been recorded. ​See contest rules for additional details. Sign up below to be the first to receive the results of the Best Bike Park Survey and updates about your favorite bike parks. Sign up for the latest bike park news and to be the first to receive the results of the survey!